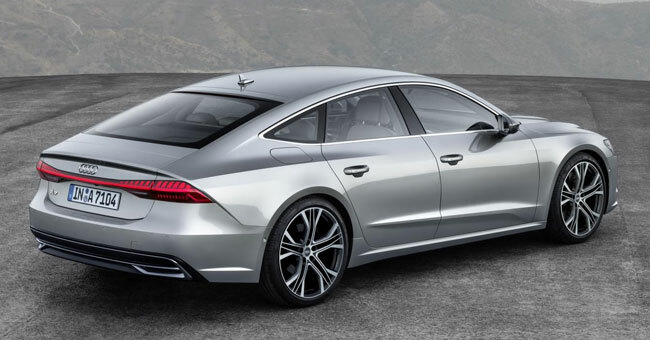 Audi has unveiled the all new Audi A7 Sportback, which it says represents a new design era for the German carmaker. It claims that the sporty yet sophisticated four-door coupé sets new standards in luxury automotive. It adds that the Audi A7 also truly embodies the essence of Gran Turismo, with dynamic lines, systematic digitalisation, a sporty driving experience and striking interior design. All engines used in the Audi A7 Sportback come as standard with a new mild hybrid system (MHEV) for greater comfort and efficiency. With the two V6 engines, this uses a 48-volt primary electrical system. A belt alternator starter (BAS) works together with a lithium-ion battery and achieves a recuperation performance of up to 12 kW when braking. At speeds between 55 and 160 km/h, the four-door Coupé can coast in freewheeling mode with the engine deactivated and then restarted comfortably via the BAS. Audi will initiate series production of its level three autonomous driving traffic jam pilot in the all new Audi A7 incrementally, depending on the legal situation in the respective country. There will be a choice of four and six cylinder engines in both petrol and diesel. The 3.0TDI 231HP is expected to be the most popular variant. The all-new A7 will launch on the Irish market in late February or March 2018.